Commercial – Adept Heating & Mechanical Services Ltd.
Adept Heating has extensive experience in commercial heating, from Schools and Care Homes, to Factories and Warehouses. Our engineers travel nationwide to carry out installations, servicing and repairs to heaters and boilers in commercial properties. Much like our domestic sector, we cover all Natural Gas, LPG and Oil fired commercial heating appliances. Our preferred heater manufacturers are Powrmatic and AmbiRad. We offer a wide range of commercial heating solutions and can advise on the most appropriate solution for your premises. I could not have been more satisfied with Adept` s quality of work, and consider them to be utterly professional. We supply a wide range of Oil fired, Gas Fired and Biomass boilers to suit your space. 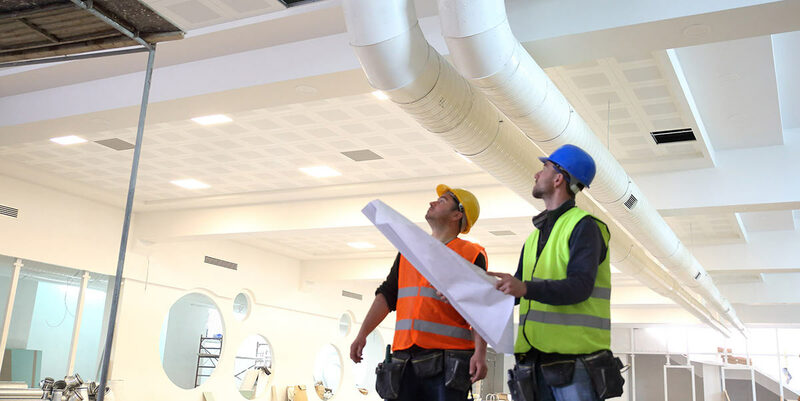 As commercial properties often require more complex heating systems, with working guidelines around workplace temperatures, we offer systems to suit your needs and requirements. All site surveys are free with no obligation. 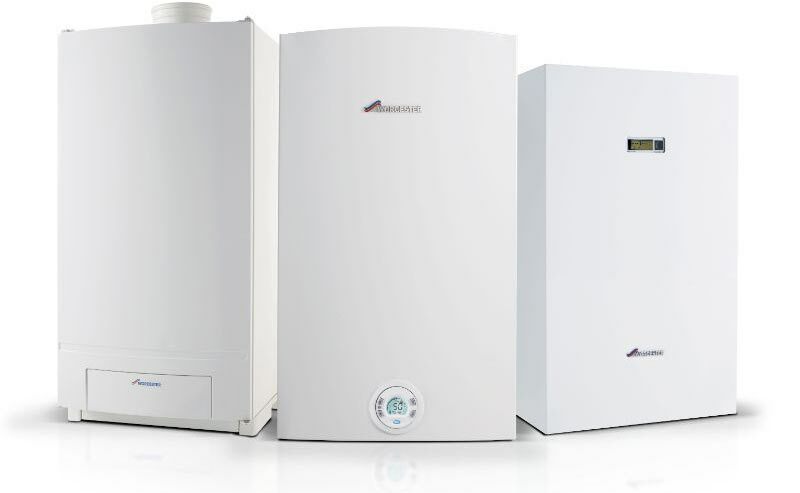 If you’re considering alternatives to your conventional fossil-fuel boiler for heating and hot water, Adept Heating can provide you with the advise and product that you need. We work in partnership with Forest Heat Energy who have extensive knowledge of ETA and Centrometal boilers. 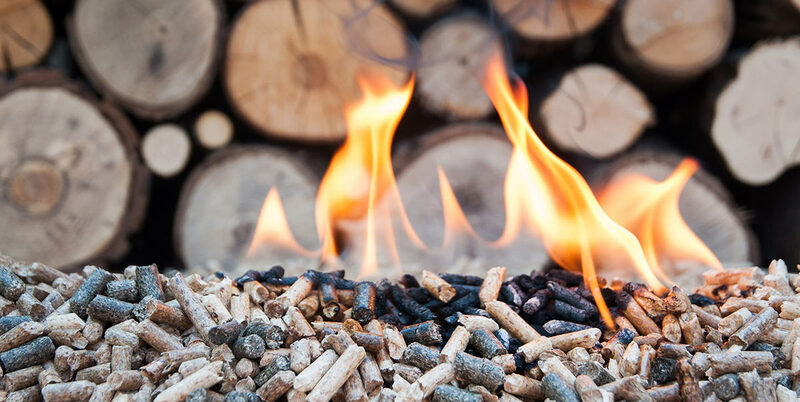 We supply small pellet-fired domestic boilers to large wood chip-fired systems for commercial and public buildings. We also offer full installation and maintenance services to customers across South East and South West England. We supply a range of wood chip boilers from leading European manufacturers, Centrometal and ETA. Available in 20 – 200 kW, all chip boilers up to and including 45 Kw output are MCS accredited, HETAS approved, and therefore eligible for the Renewable Heat Incentive (RHI). Be it floor standing or suspended units, Warm Air heating is arguably the most common heating type in factories and other commercial premises. Air is sucked into the unit, passed over an exchange, and the warm air is then redistributed evenly around the space. Due to the versatile installation options, this can be designed to suit a wide range of spaces. We use a range of high quality Powrmatic heaters to fit the needs of the property. Our engineers travel nationwide to carry out installations, servicing and repairs to heating systems in commercial properties. Underfloor heating is not just popular for domestic buildings, We are now installing it in commercial properties across the county. Underfloor heating offers a much simpler solution for offices and commercial properties. No need to design your layout around bulky radiators, this solution ensures your business layout will be focused solely on functionality and productivity. Environmental concerns and rising energy bills have been partly responsible for driving demand, due to UFH being cost effective in the long term, and eco-friendlier than radiators. This is because the heat is generated into the flooring, which holds for a much longer period of time, meaning that you don’t use as much heating fuel and electricity. The larger the heat-radiating surface, the more effective and economical the room heating will be. In comparison with conventional radiators, the ideal room temperature with a floor heating system is 1 ºC to 2 ºC lower. 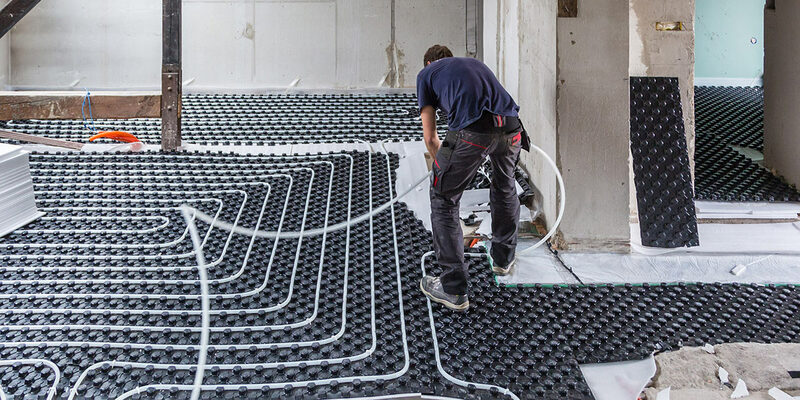 An array of product innovations has also made UFH systems easier to install, broadening their appeal for the retrofit market. Wet underfloor systems can be laid over existing floors, minimising disruption and speeding up installation.